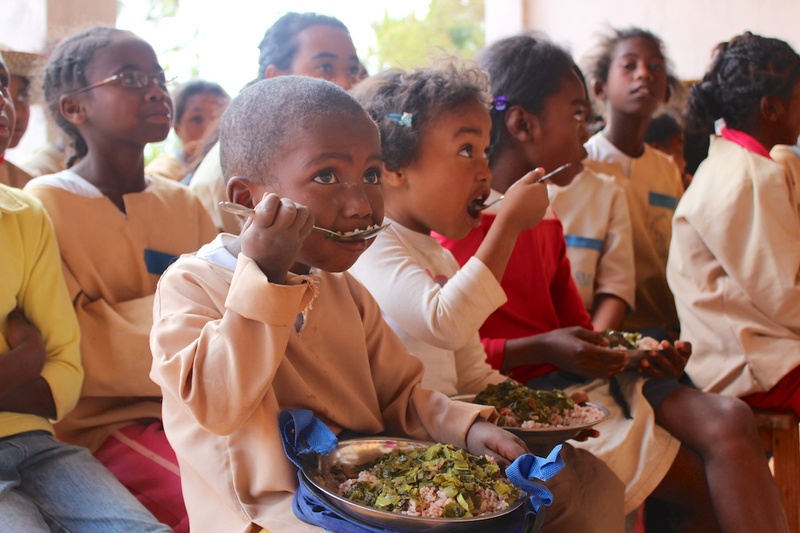 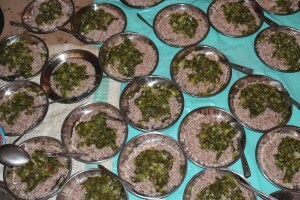 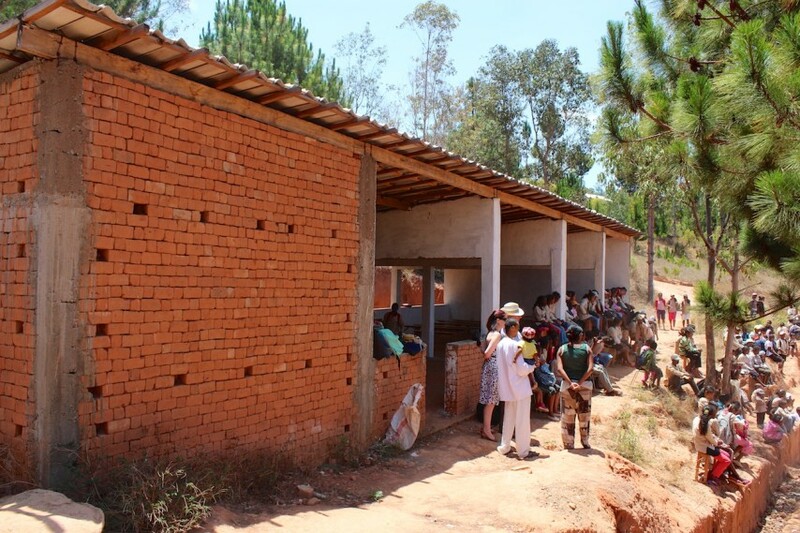 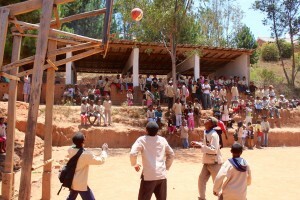 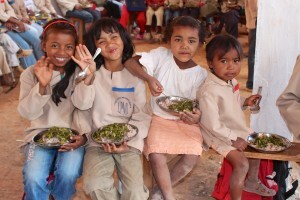 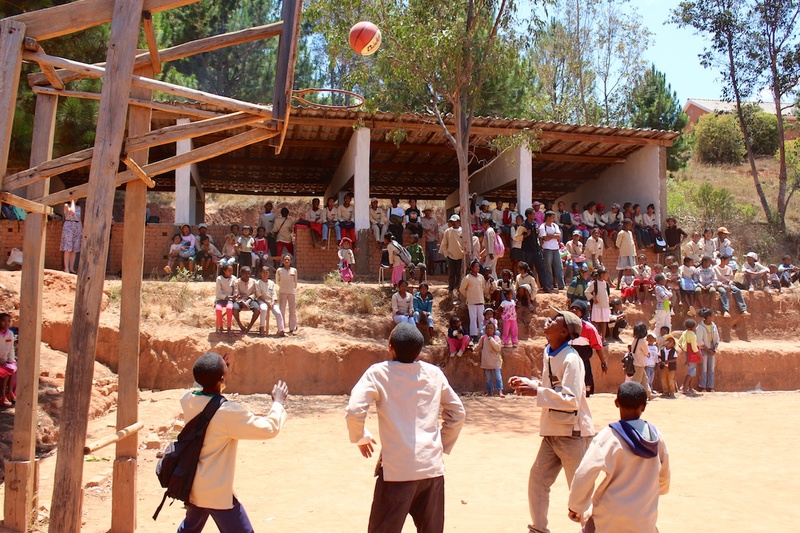 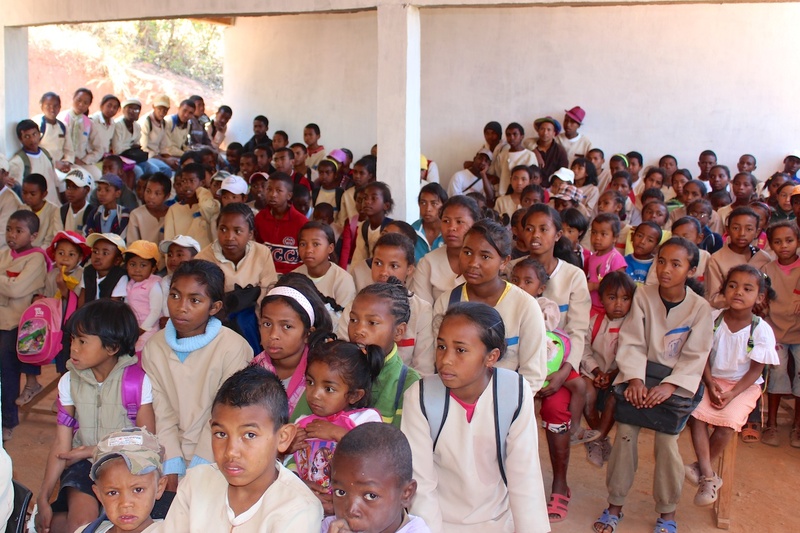 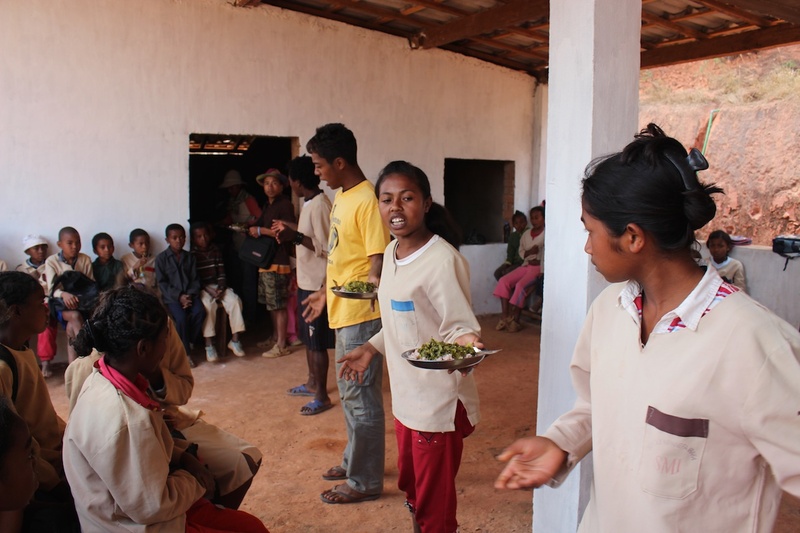 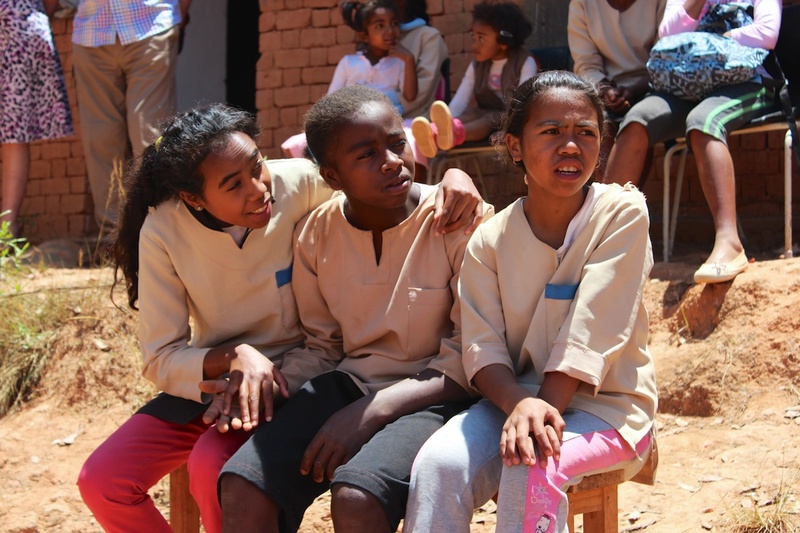 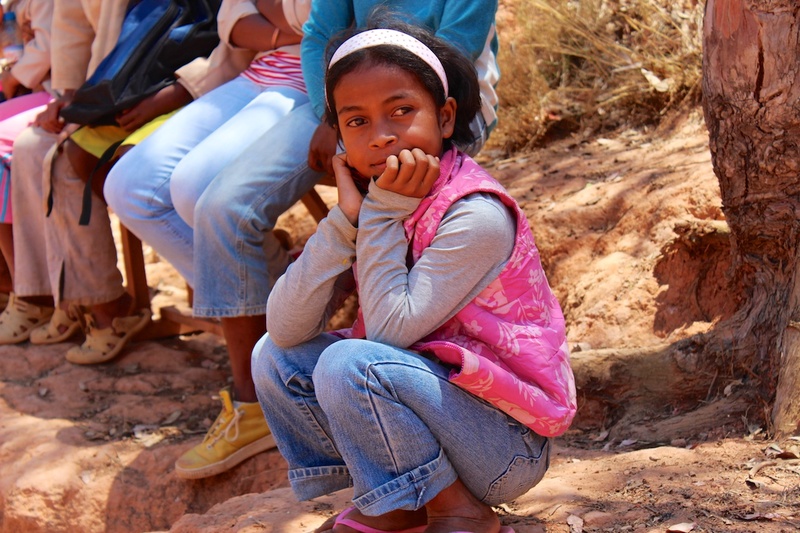 Ambondrona School near Antananarivo in Madagascar now has over 200 pupils. 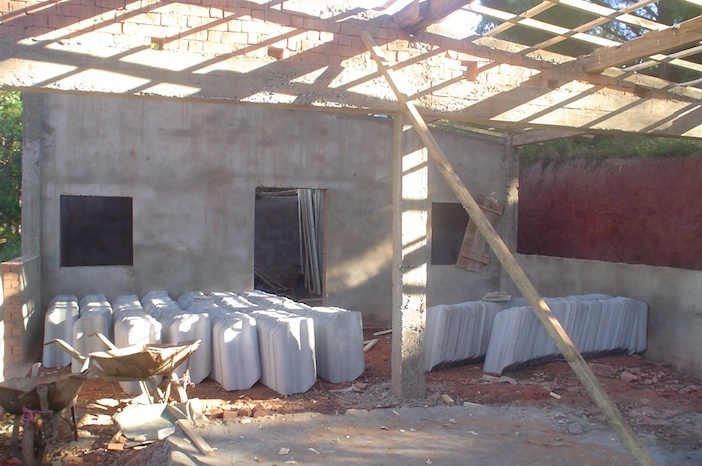 A recent addition to the site is a new refectory building, funded by donations raised by The Mission House in conjunction with Abbot’s Hill Independent School for Girls in Hemel Hempstead, UK. 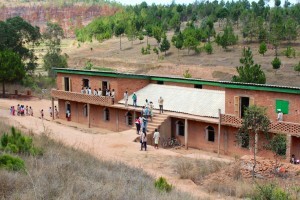 The new building serves multiple purposes as refectory, as an assembly hall and also, as it overlooks the playing field, as a grandstand. The roof tiles were made on site using the equipment provided as part of the micro-enterprise roof tile project. The video below shows the refectory in use for a celebratory meal during a trustees visit to the school. Click on the thumbnails below to view full-size images of the refectory. 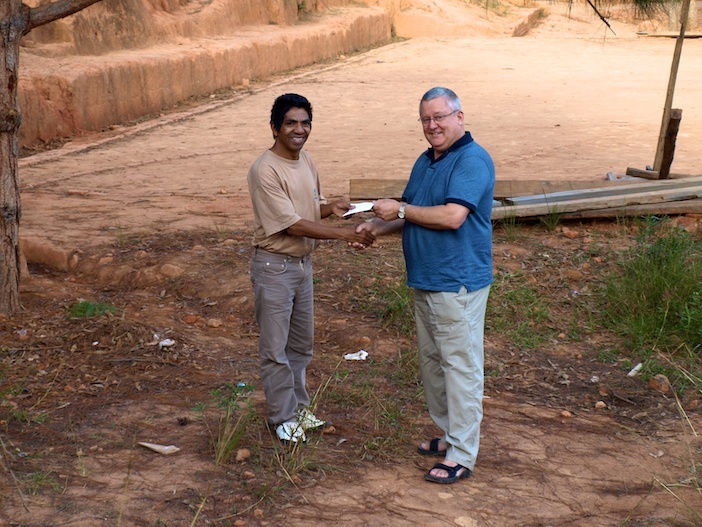 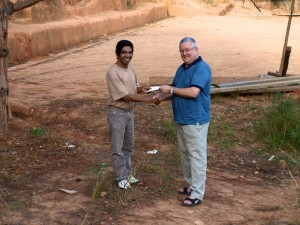 The sequence starts with the formal handover of the cheque from Nigel Kiernander of The Mission House to Faly, school principal. 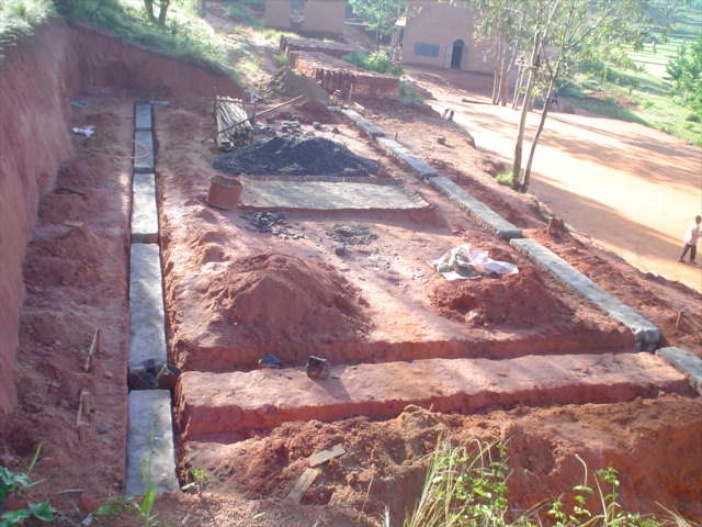 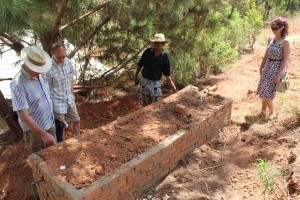 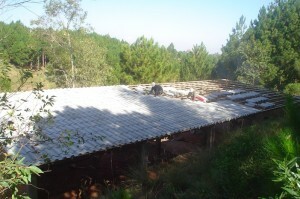 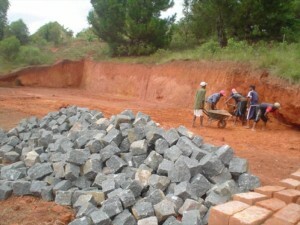 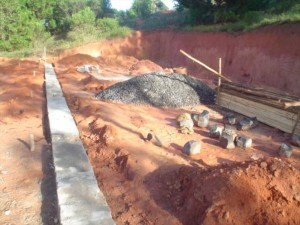 Subsequent pictures show the build in progress, including the locally produced roof tiles. 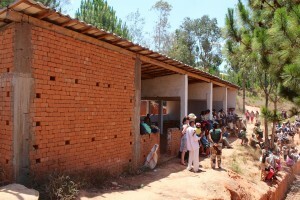 The classrooms at Ambondrona school.